These days, it seems that Matcha is taken as flavor for sweets rather than as drink. 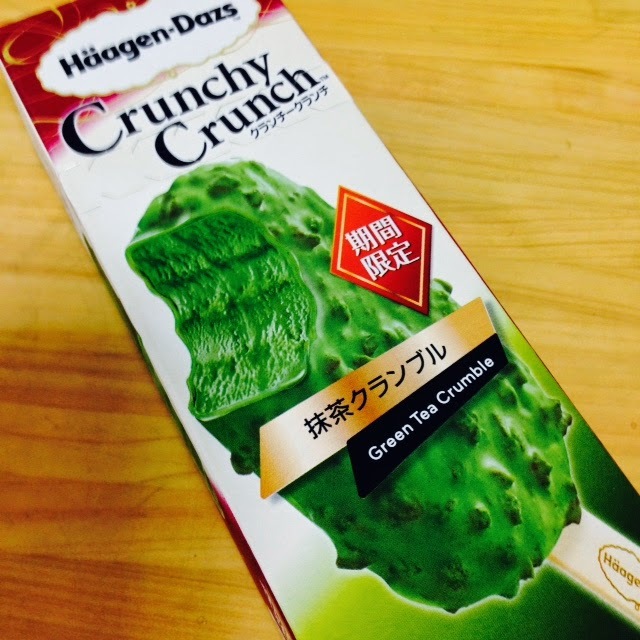 This “Matcha crumble -Crunchy Crunch -” is one of them. It has just put on the market recently and supposed to be sold for a limited time. (by Haagen-Dazs, Japan Incorporated).